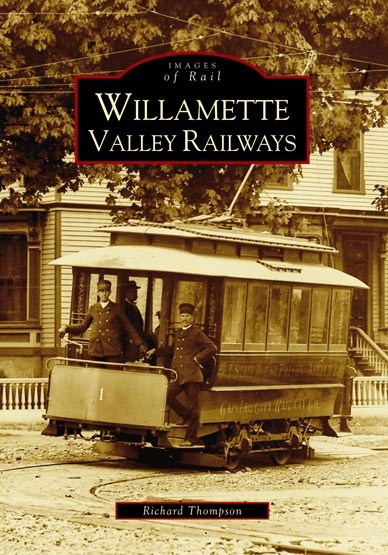 illamette Valley Railways tells the story of the electric interurban railways that ran through Oregon’s Willamette Valley, and of the streetcars that operated in the towns they served. Long before modern light rail vehicles, electric trains were providing Portland and the Willamette Valley with reliable, elegant transportation that was second to none. Between 1908 and 1915 two large systems, the Oregon Electric Railway and the Southern Pacific Red Electrics, joined smaller competitors constructing railways throughout the region. Portland became the hub of an impressive interurban network in a frenzy of electric railway building. Yet all too soon this brief, but glorious, interurban era was over. Highway improvement and the growth of automobile ownership made electric passenger trains unprofitable in the sparsely-populated Valley. By the early 1930’s the successor to the railway that had launched the nation’s first true interurban was the only one still offering passenger service here.